There is a new sense of democracy in the art community – and it’s coming from an unexpected source. From fashion to fitness, from marketing to make-up, the social media phenomenon of Instagram has already revolutionised a number of industries. Anyone with a smartphone and a particular passion can become an influencer and have their voice heard, and people whose interests may have isolated them in the past are able to form strong, vibrant relationships with like-minded users. One of the frontrunners of this new artistic democracy is Jean-David Malat, a Paris-born, London-based curator and art dealer. Malat is widely known in the industry and has gained expertise at a variety of international galleries. Though he works with established artists and meets new ones through traditional methods such as art fairs and exhibitions, he’s also become known for discovering fresh talent through everyone’s favourite app. Malat is making great efforts to provide a platform for these newcomers, reposting them on his own Instagram account, introducing them to the media and sharing their works with interested art collectors. In June, he’s taking this mission a step further with the opening of the JD Malat Gallery in Mayfair. 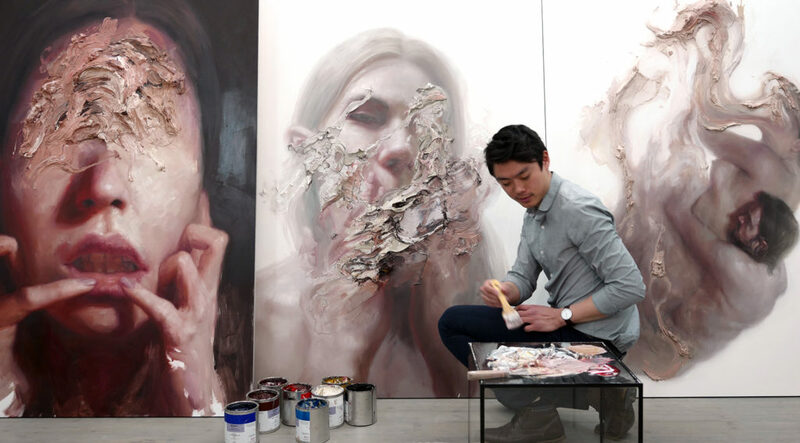 In addition to works by established artists, JD Malat Gallery is launching with a 17-piece collection by Henrik Uldalen, a self-taught painter who Malat discovered on Instagram.